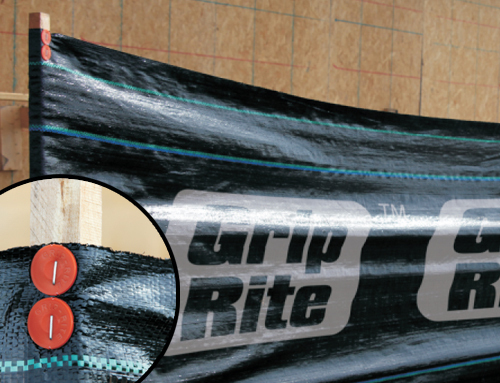 Grip-Rite silt fence is designed to meet a wide range of job site needs from the open-spec to the DOT markets. -Utilizing a variety of filter fabrics, Grip-Rite silt fence allows water to pass through the fabric, while suspended soil particles are trapped and settle to the ground. -This restricts the loss of costly jobsite material, keeps our roads and highways free of mud, and protects our lakes and streams from harmful silt build-up.